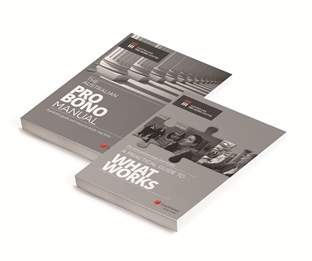 Pro bono partnerships and models – A practical guide to What Works (2nd ed). In this instalment we feature Chapter 1.13 – Evaluation from the Manual. How do I plan an evaluation? How do I systematically collect data? a guide to building an evaluation tool. We look forward to highlighting other key sections of the Manual and What Works in future editions of By the Book.